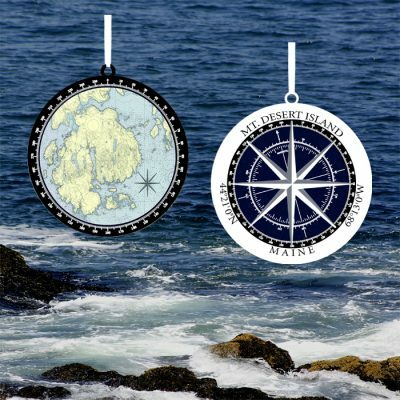 Double sided, gift boxed ornaments with a nautical chart of the location on the front and a compass with coordinates on the reverse. 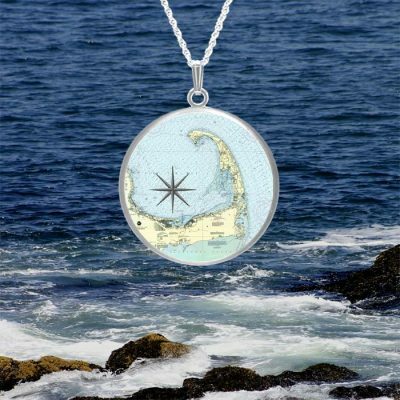 Pendants and earrings single sided featuring nautical charts. Gold or silver finish. These pieces can often be customized. Call for more information if you don’t see the location you are looking for.